just north of Auckland in New Zealand. 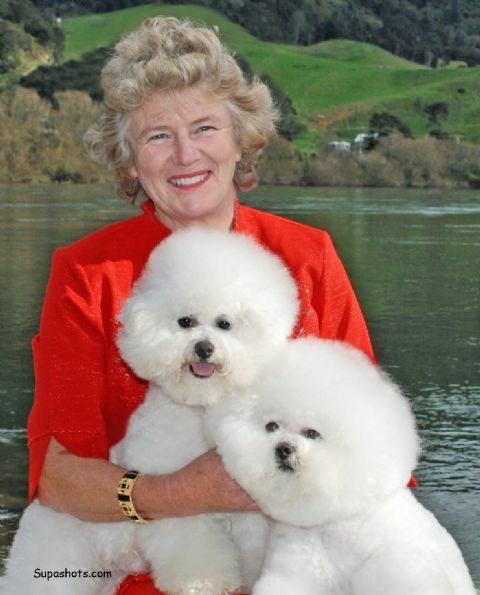 mother Elsie Rennie of 'Shandau' we show the beautiful Bichons she breeds. for our clients beloved pets. My husband and daughters love and own horses and compete at Champion Competition level with great success.